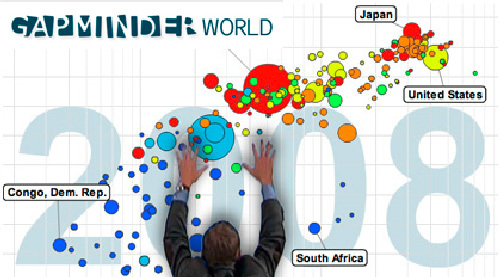 The software Gapminder World, conceived by the Gapminder Foundation, enables you to observe the evolutions of the countries of your choice, over two centuries, according to various criteria that you decide to select among many indicators. This software has led to the elaboration of a famous video where you can see the economic history of 200 countries stream over the past 200 years! How to read infographics and data visualisations ?